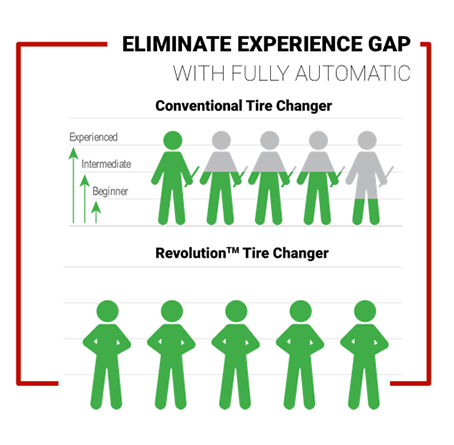 The Revolution™ tire changer machine is truly one-of-a-kind. 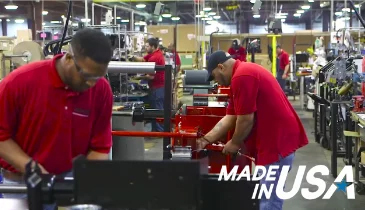 This fully automatic tire changer is the easiest tire changer to use in the industry, and recognized as the 2015 Motor Magazine Top 20 Tools Awards, as well as a PTEN Innovation Award and PTEN Innovation Award’s People’ Choice Award all in 2014. 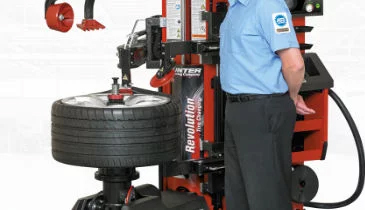 Featuring a space-saving wheel lift, “Go” pedal and Powered Press arms fully automatic tire changer machine is equipped with everything you need to effortlessly and effectively service vehicles. 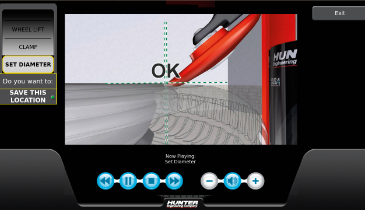 Step up to the Revolution™ fully automatic tire changer, and add the convenience and superiority of Hunter Engineering products to your shop. 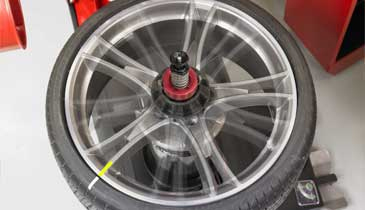 80-second unattended bead breaking and demounting process, 25%+ time savings possible if paired with wheel balancing. 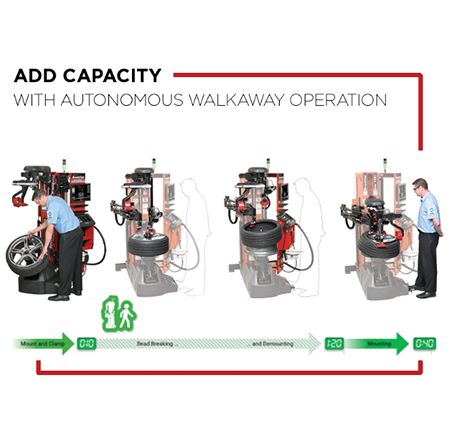 Operator experience is no longer a factor with this fully automatic tire changer. 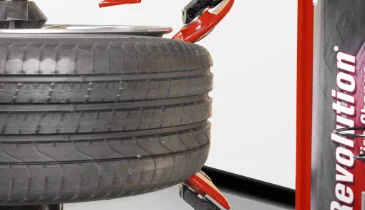 Use the same procedure for all tires and wheels. 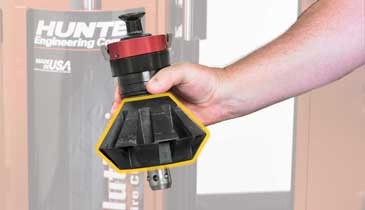 The Revolution® fully automatic tire changer features a leverless tool head. 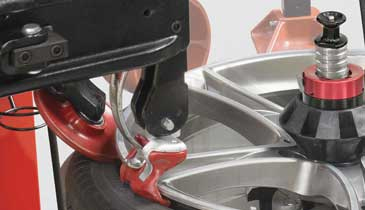 Demounts without levers and prevents damage to the tire and rim. 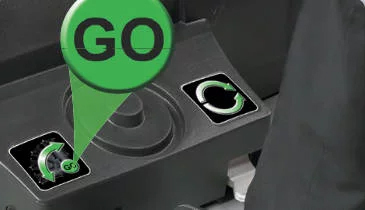 Press “Go” to make selection, hold “Go” to allow sequence to advance automatically and release “Go” to pause at any time. 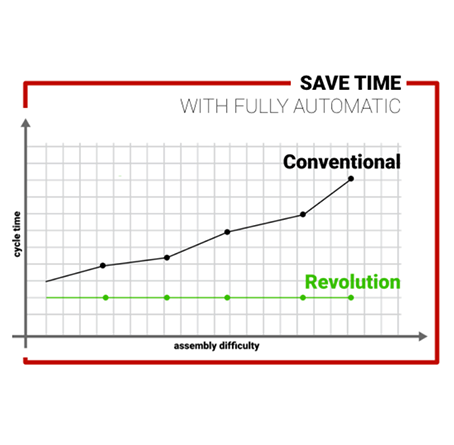 The Revolution™ tracks the sensor during mounting and demounting. 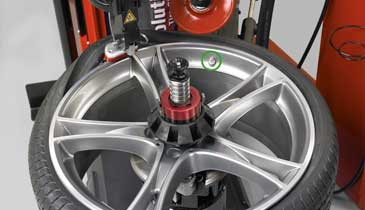 Bead loosening rollers work the best for the widest variety of tires. 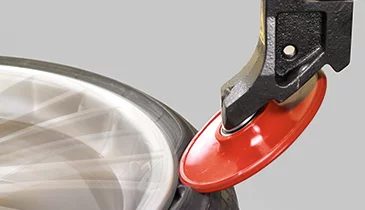 The bead roller discs on the Revolution™ tire changer machine allow the tire to spin on rim, helping match-mount stiffest point on tire to low spot on rim. 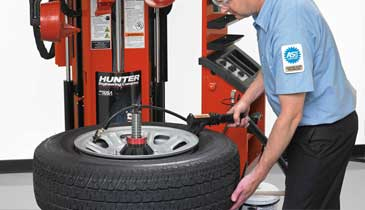 Rollers apply force to the tire walls, assisting proper bead seating. 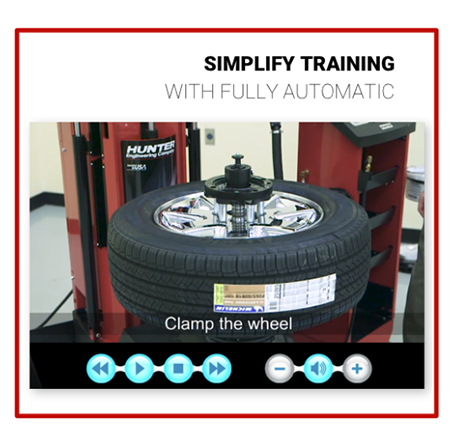 Mount virtually any tire with the powered press arms on this fully automatic tire changer. Powered for maximum control. 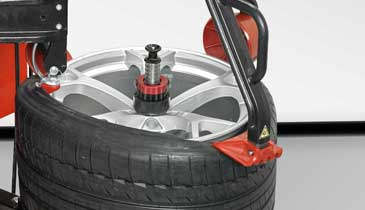 Spindle lifts tire directly into position. 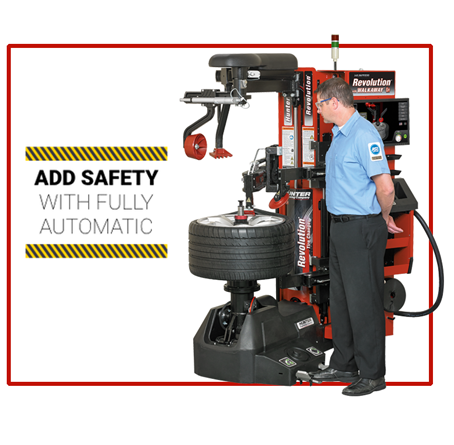 The built-in wheel lift on this tire changer machine reduces it’s overall footprint. 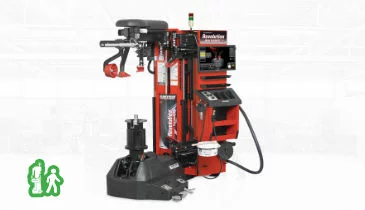 This tire changer machine inflates faster than traditional foot pedal inflation systems by 33%. 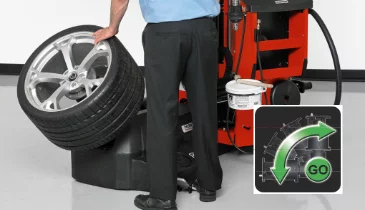 The three position cone on this fully automatic tire changer handles wide variety of wheels. 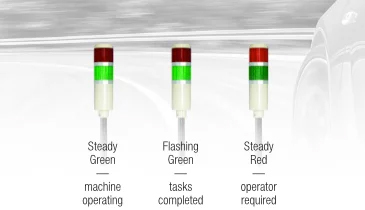 Animations train operator “on-the-job.” Gain video training for new users and video library of special procedures.